On the 9th of November Stuart Baker, our Manager, and Sam Denning, a young star on our butchery team, travelled to London, to Butcher’s Hall to receive awards for their products that they had put into the Smithfield Q guild competition. Yorkshire Black bacon-our dry cured bacon that is finished in Molasses to give it a sweet dark edge. 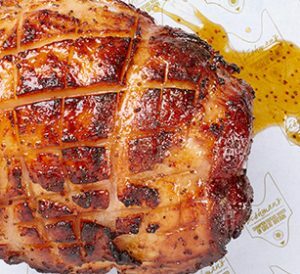 And, one of the products that we are really becoming famous for are our Great Yorkshire Hams, which received an amazing 100 points out of a possible 100.